AUTO, HOME, COMMERCIAL, LIFE, TRAVEL INSURANCE, HIGHRISK, DISABILITY, SUPER VISA, RESP 20% Grant and UP to 15% Bonus. Good record or Convictions or Claims We can help you with your Insurance. Combine Auto and Home you can get up to 30% Discount. if your company canceling you because of Conviction or Claims we can help you get Auto insurance. 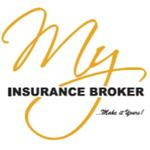 Products Carried: Auto Insurance, Home Insurance, Life Insurance, Commercial, Travel Insurance, RESP, Disability Insurance.